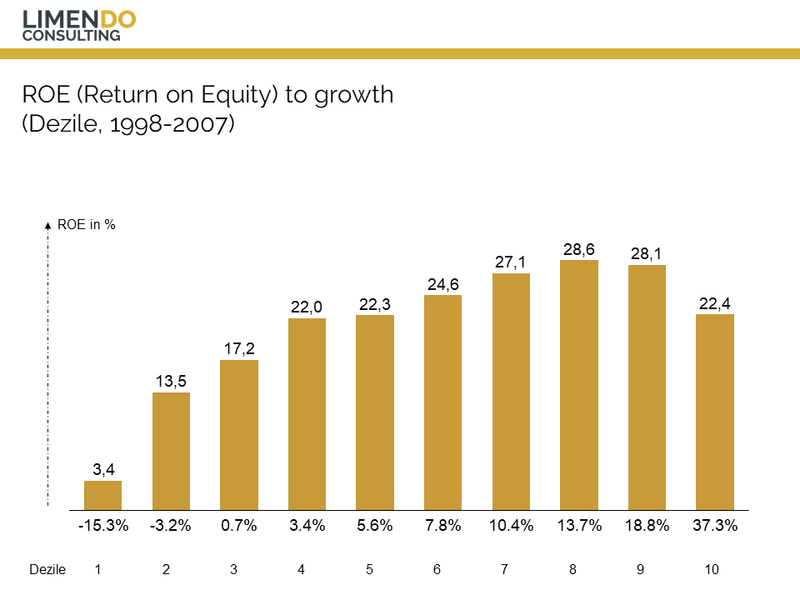 When we talk about enterprise value, we have also have to talk about growth at the same time. In essence, the enterprise value expresses the expected future cashflow of a business. Are there limits to a company’s growth? How can you manage growth? We are happy to help you with your growth. We will gladly call you back without obligation. An initial conversation is completely free. 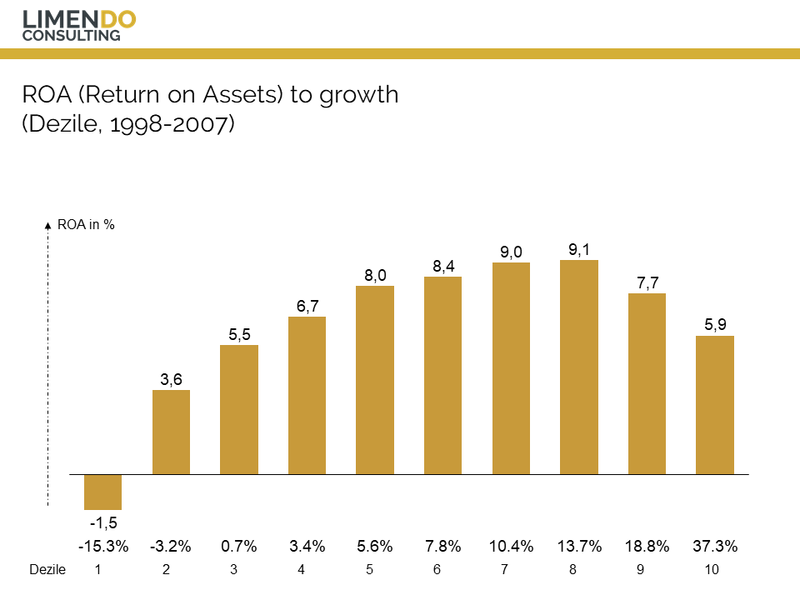 PROFITABLE GROWTH – WHAT IS GROWTH ANYWAY? 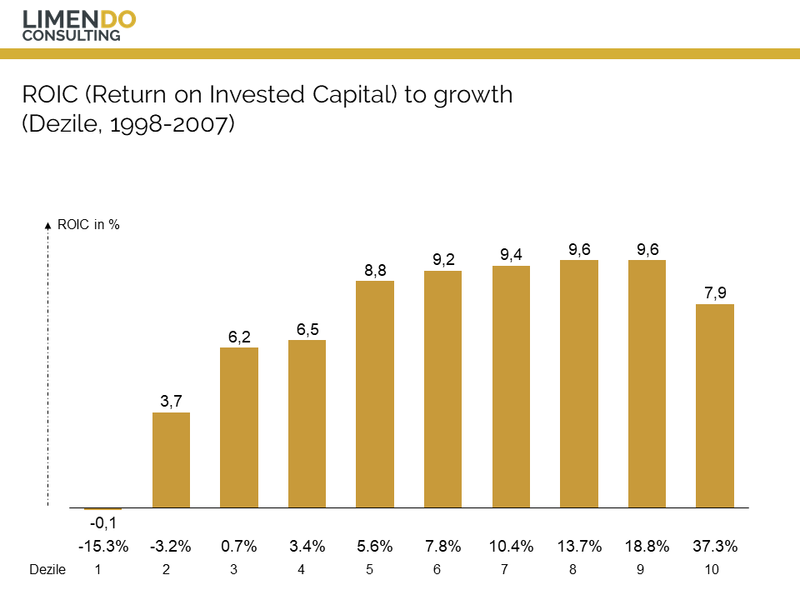 Therefore, the enterprise value depends on profitable growth. Growth is often seen as a maxim for business development and is valued equally by entrepreneurs and academics. The concept of growth is handled differently. Certain authors use growth as a synonym and see it as a way to do business. Such definitions may motivate, but they are not measurable. Other authors see growth as a positive change of an indicator, such as sales or number of employees. In addition to such quantitative measures, growth can also be measured qualitatively, for example through an increase in employee knowledge or customer understanding. Growth is predominantly measures by the development of sales. Growth can be measured both absolutely and relatively. Absolute growth will be measured as a change in a quantity such as sales, size, or number or another variable. Relative growth is measured by comparing the same variable at different times. If you want to compare company growth with each other, you quickly see how you can reach the limits of growth measurement. While relative sizes favor smaller companies, absolute sizes prefer larger companies. However, absolute sizes are much more difficult to interpret. For example, if a company grows from 50,000 euros in sales to 100,000 euros in sales, it has achieved relative growth of 100%. If a larger company grows from € 2,000,000 to € 2,500,000, then this company has only grown by 25%. In absolute terms, however, the larger company has grown 10 times as fast as the smaller company. ARE THERE LIMITS OF GROWTH? In order to increase the enterprise value, it would be best to achieve the greatest possible growth. However, this growth is limited by a variety of factors. The growth limits of business enterprises are that it is almost impossible for a very long time to grow very fast. Very nicely this has Peter M. Senge (2006) in a nutshell. 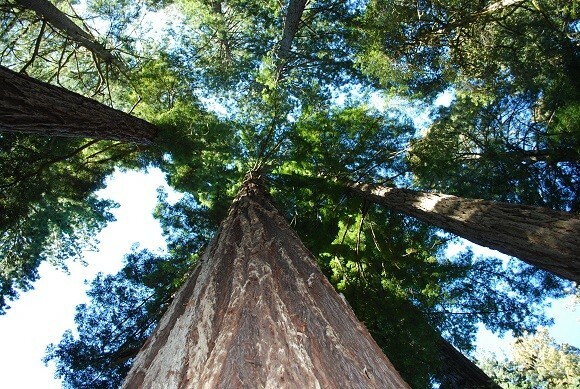 Growth is understood as a game between a strengthening and a balancing process. A growth driver, e.g. Market demand leads to business growth. Business growth influences internal and external factors as well as resources. The use of these factors and resources results in a balancing process. For example, can a particular corporate department be overburdened by the growth. As a result, this department will perform worse and will not be able to sustain growth. Lack of management and leadership skills that are familiar with the language, structures and culture of the company. Frequently, steady growth means that internal financial and control systems do not grow fast enough. Loss of control is the result. Constant product and market development often dilutes the focus of the company. Several studies have shown that it is good to focus on the core. Neglect of research and development, the innovation gap! In the context of rapid growth, research and development is often neglected. However, this takes its revenge at the latest when the new products are “old” again. Big growth often leads to an increase in resources – more than would actually be needed. IS THERE AN OPTIMAL GROWTH? 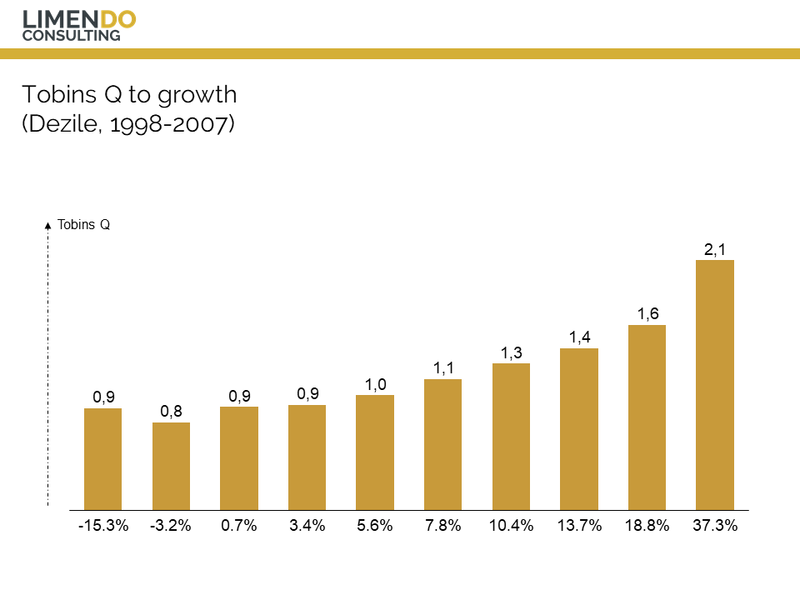 In his study, “The high-growth company: Perils of Excessive Growth” – in German ” Das schnell wachsende Unternehmen: Dangers of excessive growth” Hannes Lösch has examined optimal growth. The relationship between growth and, in particular, strong growth with different characteristics was examined. 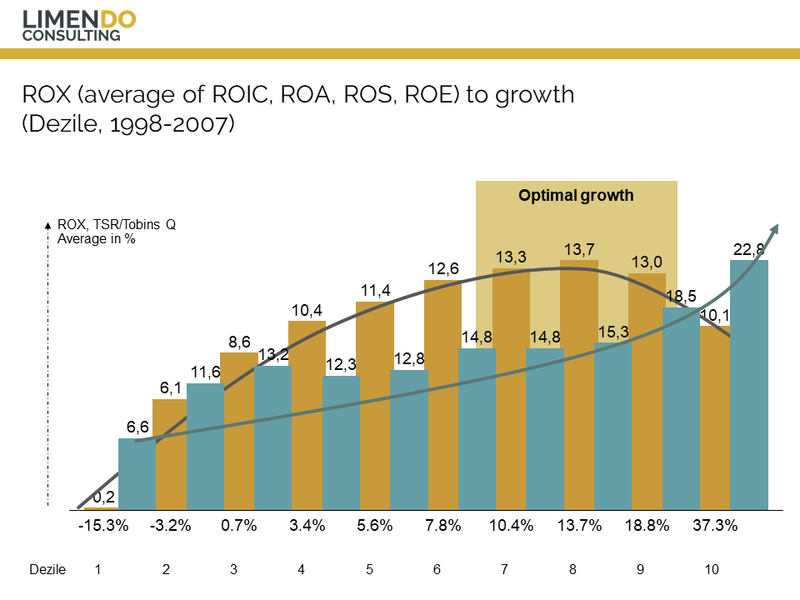 It has been clearly demonstrated that for accounting-related metrics such as ROIC, ROA, ROS and ROE and value-based metrics such as economic profit, the relationship between profit and strong growth is negative in the long term. An inverse U-curve between growth and different performance sizes has been demonstrated and this supports the assumption of decreasing marginal utility of growth. With regard to market-oriented indicators such as Tobins Q and TSR, however, a positive long-term relationship between profit and growth was found. In order to optimize the company’s success, growth of 10 to 25% can be assumed as optimal growth. This of course applies to already established companies. Start-ups can grow much faster and digest growth better. However, there are also established companies that manage strong growth very positively. These focus on their core business, show organic growth in their core markets, follow a balanced acquisition strategy, have excellent search, selection and integration skills and are not dependent on specific markets. HOW DOES GROWTH AND PROFITABILITY HAVE AFFECTED? WIE VERHÄLT SICH WACHSTUM UND BÖRSENWERT? WHAT IS THE BEST OPTIMAL GROWTH? 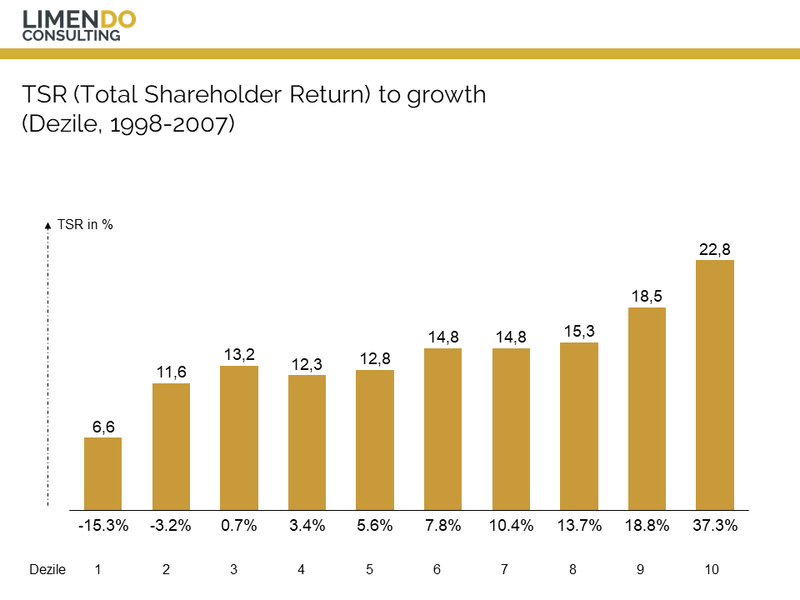 You see how important growth is for the company’s success and the creation of enterprise value. We at Limendo Consulting, from South Tyrol, Bolzano, attach great importance to the growth analysis. 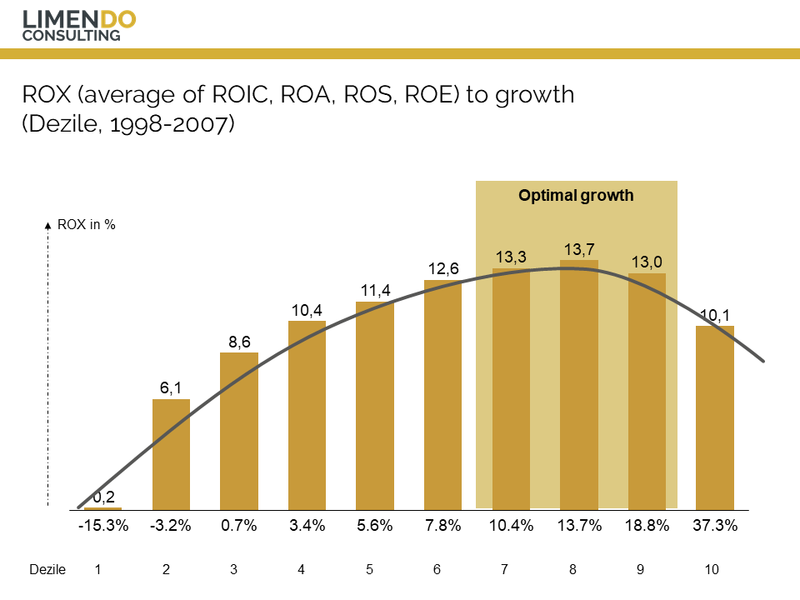 We use the growth diamond in our growth analysis as part of the Limendo House of Strategy. The growth diamond was developed by Hannes Lösch (2010-2017) and describes all possibilities of a company to grow. 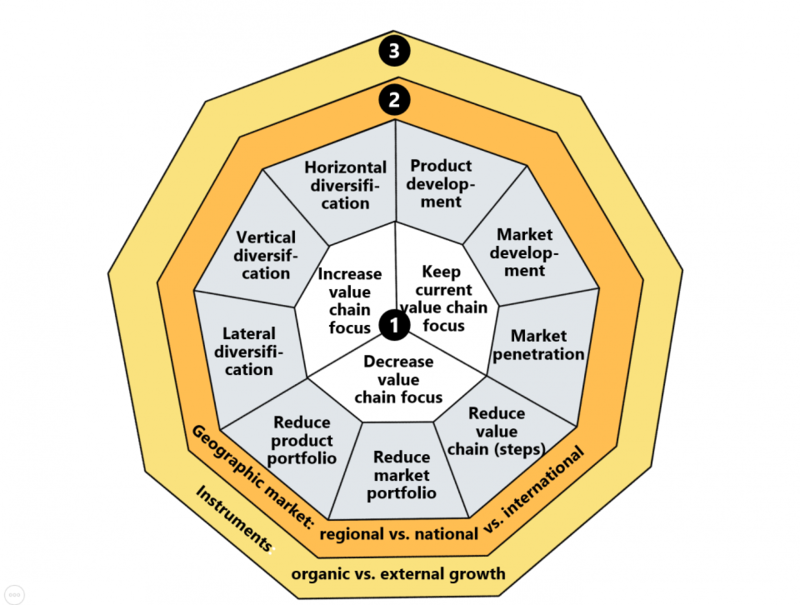 You can use the growth diamond to visualize and manage the different dimensions of growth very well. As part of the strategy of market penetration, companies are trying to bring an existing product-market combination closer to the market. If you e.g. For example, if a bank offers a specific investment category to retail clients, the bank will seek to increase sales by increasing the volume or by selling the asset class to other, new retail clients. Also, an increase in prices is possible. The market penetration strategy focuses on increasing the current market share. Strategically, the market share is given a high priority, as only with a high market share economy of scale can be achieved. According to the Profit Impact of Market Strategies (PIMS) studies of the 1970s, market share is one of the main drivers of economic success. Decisive are economies of scale, better market access and access to better qualified management resources. In principle, the market share can only be increased if it succeeds in finding new customers for the company or by binding existing customers to the company. In the market development, however, an existing product is changed so that it can be sold in other markets. For example, a specialized logistics consulting firm also try in the area of ​​strategy consulting. In product development, products are further developed so that they can be sold in the same markets. Horizontal diversification speaks for diversifying along different product categories. If a bank is e.g. Initially active only in the area of ​​”payments for private customers”, the bank could expand its business field to the field of debt financing. The areas are still very similar to the previously operated business area. Vertical diversification describes a forward or backward integration of a company. For example, to integrate a farmer forward by operating a mill or even a bakery with a retail store. He thus enters in him downstream value creation levels. Or the farmer could produce his own seed and thus enter the value-added stages that lie ahead of him. Horizontal and vertical diversification are mostly carried out for reasons of synergy between different stages of the value chain. Or also because an entrepreneur thinks he could solve certain things better. Conglomerate diversification ultimately describes the possibility of entering into unrelated, foreign value creation stages. For example, the farmer from the previous example, open a record shop. The conglomerate diversification is then approached as a company wants to stand on different and several legs. Synergies are limited in this area, e.g. by allowing administrative costs to be shared across multiple businesses. Such an option is always meaningful when the existing markets of a company come under pressure. With one or more additional legs, it can succeed to balance a sinking business. Some companies have also broken ground and set up their own venture center. These centers pursue start-up financing within the company and various areas are being tested. Thus, it can succeed in entering very different, new value chains. In contrast to Option 1, expanding the expansion of certain market-product combinations within the same value-added chain can also be reduced. Certain product-market combinations are being withdrawn from the market. This always makes sense if these product-market combinations do not yield the expected returns, or show no growth, or no reasonable market share can be achieved. In addition to these basic options, it is necessary to determine the geographic orientation. This can be regional if, for example, you are traveling in a certain regional area with your service, e.g. an insurance agency. This can be national if you are nationally represented with a particular product. This may be international if your services or products are available in several states. We can only speak of a global orientation if you are really available worldwide. The geographical orientation follows the market strategy and helps to implement it. It determines e.g. in which places, regions and countries they are represented with an office location or they employ a sales department. It determines in which trading markets and which traders you can buy your product. 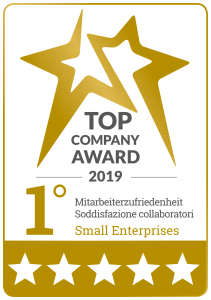 In principle, it is recommended to be among the top 2 companies in the relevant markets in order to benefit from economies of scale and broader effects. Here is also clear that this is possible for companies of all sizes. A locally oriented organic food store will not be the global number one in the short term, but such a position can be developed locally. In this position, the store then benefits from wide effects – so it will be successful in marketing, the awareness increases, and more and more people will go shopping there. With larger volumes, the company ultimately benefits from better prices. Ultimately, it still has to be decided how growth will be achieved. This succeeds through organic growth, that is, through constant expansion of own business with own sales. Or does this succeed through external growth, ie the acquisition of companies. This is especially useful if you are traveling in fragmented markets or if you want to integrate new technology, brands, knowledge, or customers into your business. Limendo Business Consulting is happy to assist you in your growth. What is digitization and digital transformation? How to set your strategy with the House of Strategy. 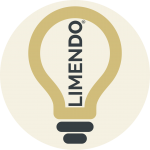 How can you support Limendo Consulting? Apply for a call back or send a message to Limendo Consulting.